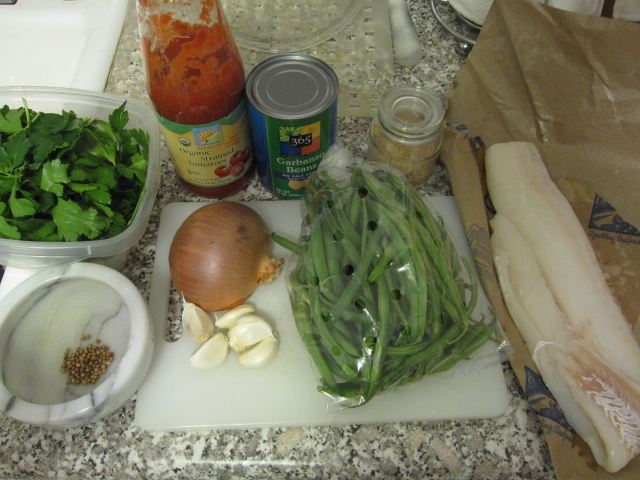 You can’t tell from the pic, but believe me, there’s a 1/4 lb cod filet under all of that chickpea and tomato sauce. This dish was based on a recipe from the old Jewish Ghetto of Rome called Tonne con Piselli. The original is tuna and peas. 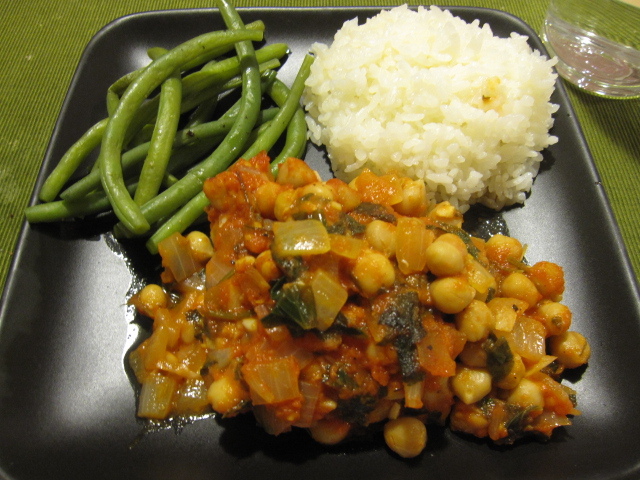 For this dish I used a handful of chopped parsley, 1 tablespoon of coriander seeds ground, 1.5 cups of strained tomatoes, 1/2 onion diced, 5 garlic cloves minced, 14oz can of chickpeas, a bunch of haricots vert, 1 teaspoon of dashi-no-moto, and a 1 lb filet of cod. 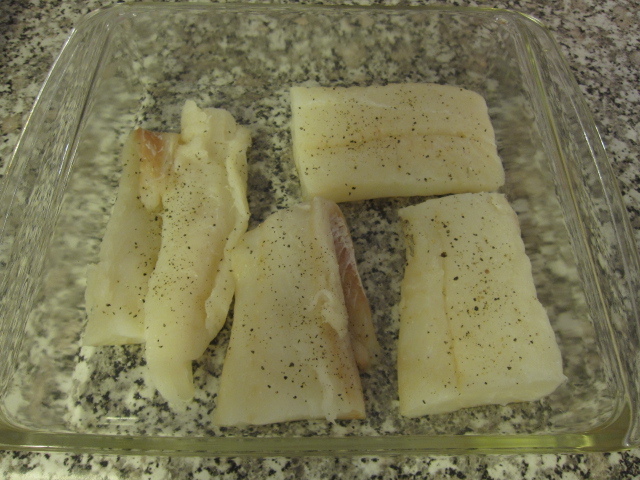 I cut the cod into 4 portions and laid it in a glass baking dish. I sprinkled it with salt and pepper then let it sit while I prepared the rest. In a hot pot I poured about 2 tablespoons of olive oil and then dumped the onion, garlic, coriander, and parsley in. I let that all saute for about 5 minutes before pouring in the strained tomato. I added the dashi-no-moto to 1/4 cup of hot water, let it dissolve, and then added it as well. You can use fish stock, but I didn’t have any, that’s why I used instant dashi. I let that come to a low boil, turned the heat down, and let it simmer for about 10 minutes. 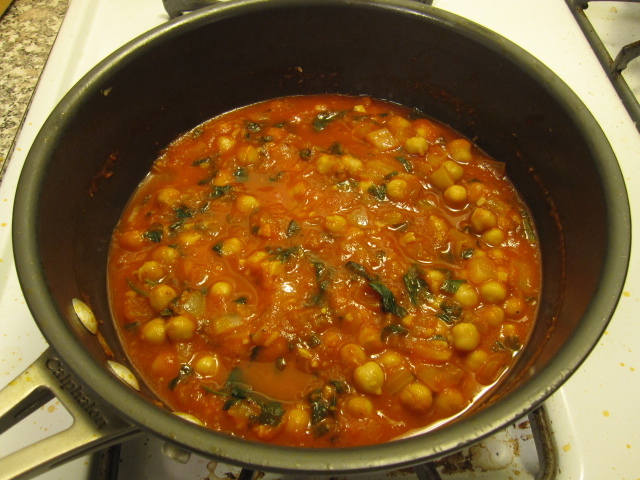 I drained the chickpeas, rinsed them off, stirred them into the sauce, and turned off the heat. I seasoned it with salt and pepper and then covered the fish with it. I put it in a 375 degree oven for about 15 minutes. During that time I steamed the haricots vert. I served everything with white rice.